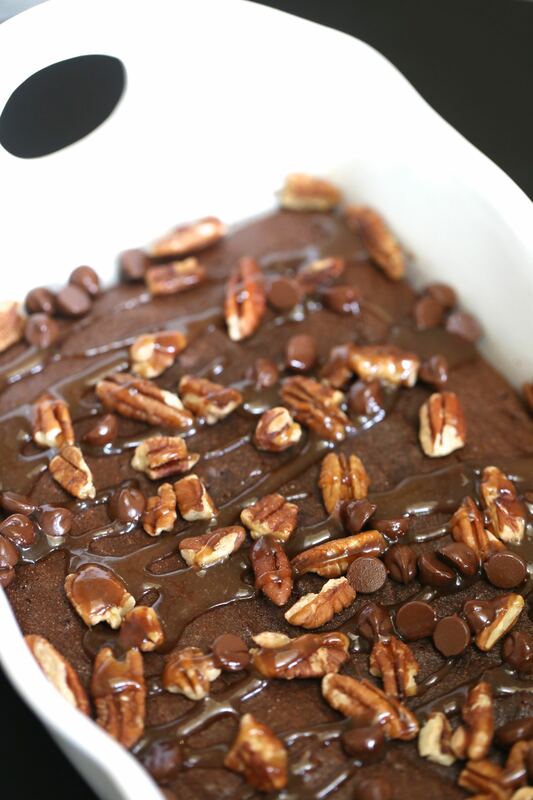 Looking for a grain free treat that will please even the pickiest?! 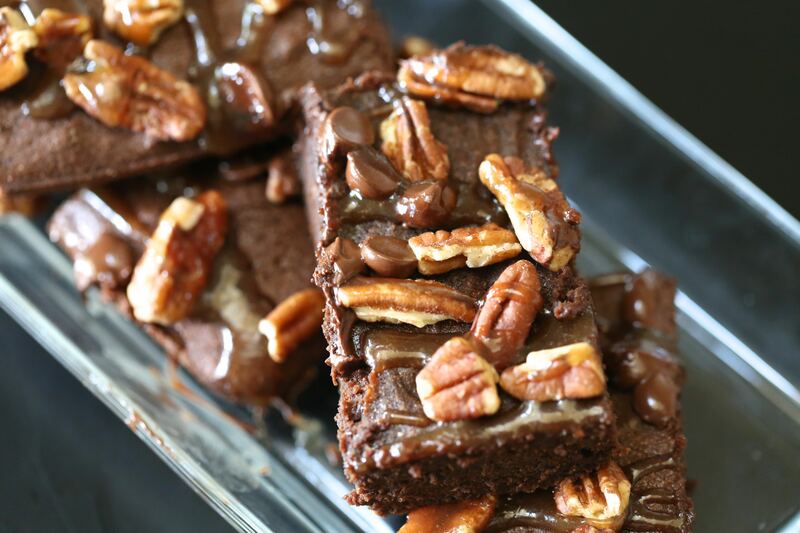 Try my Paleo Turtle Fudge Brownies for smiles all around. School’s out for Summer which is always a weird emotional time for me. I dream of when I get to spend leisurely, unstructured days with the kids and always look forward to it. Then I experience the flip side of that and my overthinking mom brain ruins everything. I start going down the rabbit hole of how quickly time goes <<cue tears for my oldest entering middle school>>, if I’ll be able to juggle work and fun well with the kids out of school, and I worry about given them ENOUGH structure so their rotting brains don’t slide out of their skulls. Today is that day. I am in a funk. The end of the school year always makes me feel conflicted and this year is no excuse. Between our family vacation (big yay for the beach), 3 separate overnight Summer camps for my bigs (a first for them), my son’s 20 hour gymnastic commitment, and the girls’ minimally scheduled activities, I’m starting to wonder where the leisure is after all. I know. I’m a giant whiner. But truth be told, I know I’m not alone. I know how hard it is to feel like you’re doing a good job parenting and sometimes we go through the phases of questioning just about everything we are doing. The bad news is, that just might be part of being a not-so-bad parent. The good news is, I have a solution. 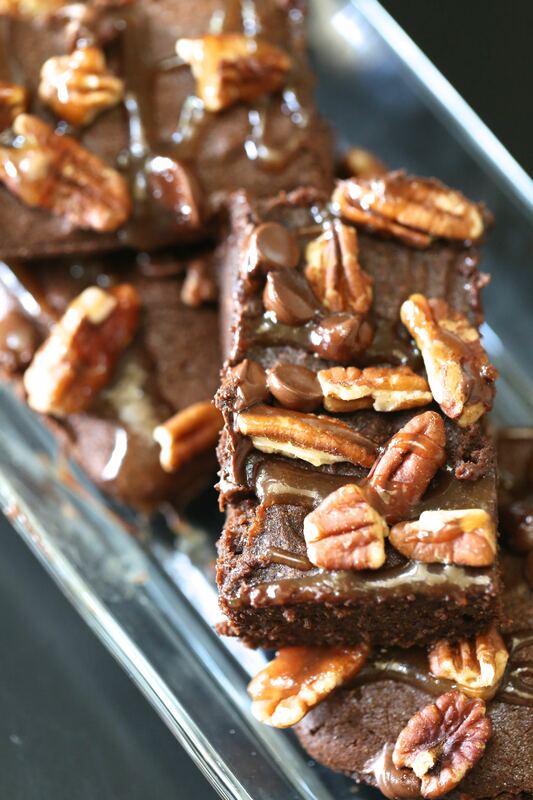 Paleo Turtle Fudge Brownies. Sometimes when I am in a funk, like now, I just want to curl up in bed with Vanderpump Rules on repeat (I’ll also settle for Southern Charm or RHONY/RHOBH/RHOC). But also sometimes, I just want to bake. Getting lost in the kitchen science while also knowing there is a sweet treat waiting for all of us at the end. Today, I bake. 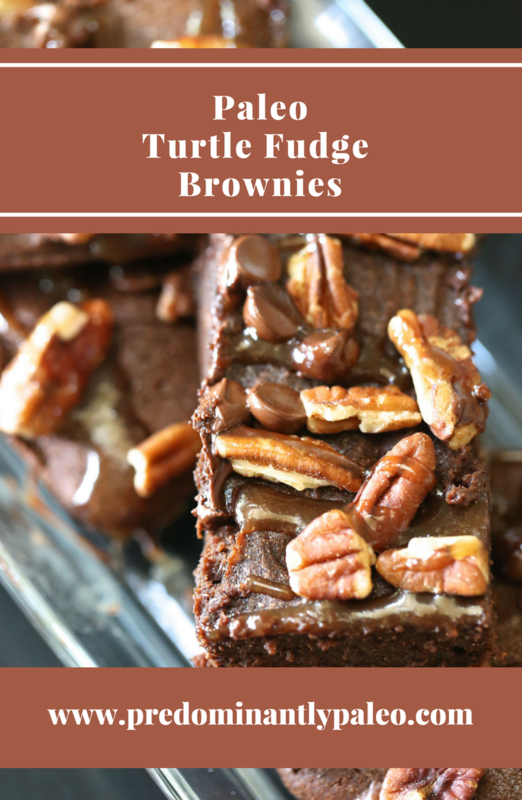 These Paleo Turtle Fudge Brownies have already brought smiles and cheers and while my funk might squeak on just a little longer, those smiles helped make things a little better. 1 cup melted dairy free/soy free chocolate chips. I use THESE! Do you post the nutrition anywhere for calories,macros, etc,? It was one of those days I Needed some chocolate. This hit the spot. I made the caramel sauce in the microwave while preparing the batter. Very tasty not to sweet. Hit the spot. I served the sauce on the side. Thank you. Just made these tonight. So good!